Founded in 2007 by avid travellers, our client provides an online travel planning portal, which combines planning tools with travel related content, so that travel enthusiasts could find inspiration, plan trips and book travel. 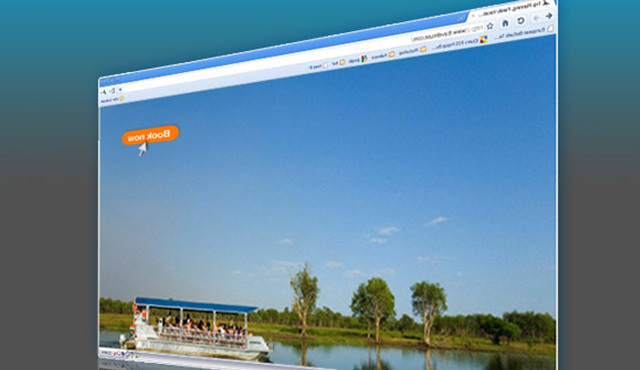 Our client wanted to improve the online travel-planning experience for the customers of their portal. Our client also wanted to combine the features of an information repository, decision support tool, and a platform for travel related social networking , comparison shopping and booking; thereby making it an all encompassing experience for the customers. Our client’s success was dependent on its ability to deliver a unique travel site that would help users find the best destinations for their unique needs. Our client wanted to be the first company that provides end-to-end travel solution right from the choice of the appropriate destination by screening a user’s budget, age, maximum travel distance and preferred vacation activities to quickly identity best-fit destinations, to actually booking the whole itinerary. To be able to capture the market, our client wanted to build a fully functional travel portal within a very aggressive time frame, but lacked resources experienced in UI technologies, scalability and, quality assurance. Our client was also looking to integrate with various third party providers and wanted a team with extensive experience in integration. The team was also required to have experience in working on short releases while handling dynamically changing product requirements and change requests. Systems proved to be the right fit. Xoriant project lead acted as the single point of contact for project scoping, task assignment, and tracking. Xoriant proposed building of the entire product using current web tools like Ajax, so that the user experience could be improved significantly and the features matched those of the Web 2.0 style of deployment. Xoriant contributed towards the overall design to make the portal scalable and user friendly. The average release period was 6-8 weeks. Xoriant recommended and fully implemented search using Apache Lucene for content search. The advantage of Apache Lucene is that it is a high-performance, full-featured text search engine library suitable that can be used for nearly any application that requires full-text search, especially cross-platform. This enabled fast retrieval across this content intensive portal. For building a rich user interface for the website, Xoriant contributed towards developing jMaki widgets using Ajax to improve user experience. Xoriant recommended the use of Java Script library to provide rapid development of rich interface applications and custom widgets. These trip widgets allow one to display the trip plan on the site, blog or any social networking pages. Xoriant suggested the use of JSF that enables modular & component based design which not only helps to reuse the code but also helps creating components that are customizable improving overall user experience. Development of drag-drop planner widget which simplifies the organization and scheduling process. This widget became a powerful mapping and scheduling tool to organize and view saved items. Xoriant’s ability to understand start-up business model and delivery of beta helped client secure additional funding. 30% cost saved through design innovation in overall development, QA due to automated testing of few modules, by use of open source technologies. Xoriant’s “Follow the sun” development model ensured 24x5 development of portal and 24x7 support. Xoriant also helped client to scrape the required third party reviews from the web to increase the usable data on the site. 4-5 different travel sites were scraped to collect around 2 million reviews of over 80,000 hotels and point of interests, thus matching the capabilities of established competitors. 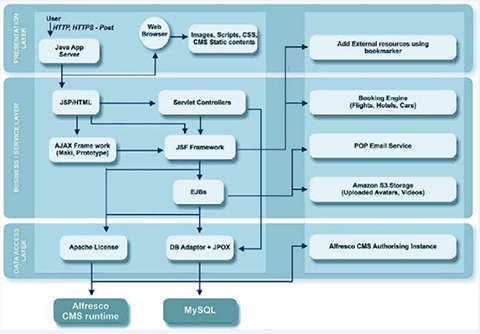 Xoriant has extensive development expertise using web tools like Ajax, Alfresco CMS, and Apache Lucene. Putting together an entire enterprise-class software platform from scratch is no easy feat and Xoriant’s highly proficient team has delivered an awesome and highly scalable product with some cool trip planning features. The attention to detail in terms of building the Web portal that included Rich Content was extraordinary. Enabled travel client to provide a complete one stop travel planning solution that included destination, reviews and holiday package curated from hundreds of different travel sites.